I am currently finding myself at career crossroads. There, I said it! I finally got it off my chest. I was brought up to think that a person who finds himself at this station is considered a loser. I grew up in a society which dictated that you finish school, find a job, then climb the corporate ladder and rise to the ranks of a supervisor or a manager — or whatever it was that you’re supposed to shoot for. This is how “success” is measured, they said. Well, I’ve actually done that. I was even called a “high flyer”. But I shrugged off the accolades, emigrated and started at a lower end of the food chain elsewhere. Even after the dot-com bubble burst I jumped back on the hamster wheel and laboured on; at no point did I doubt that the telecommunications/IT industry was anything but the most exciting sector to be in. Yet here I am, suddenly finding myself at an intersection. Is this where I wanted to be when I grow up? How did I get here? Many readers might laugh it off as the tired old mid-life crisis cliché, others have described it as burnout. Maybe. Some of the symptoms were certainly there. Now that the emotional roller coaster ride is over and blood has returned to my brain I can confidently say that, yes, this is the best place to be. These are exciting times! I’m young, I’m vibrant and I’m flexible enough to learn just about any new skill and take on any challenge. Unlike someone who’s just left school/university I have also accumulated the wisdom to know that cage fighting, horticulture or dentistry are not my gig. While you continue to follow your past industry through the media and contacts, you also find yourself peering down other avenues. Time to think is plentiful. You finally get to finish all those incomplete projects at home, start new ones, and spend so much time with the family that they actually wish you’d go away again. You may also find yourself reading articles and watching TED talks on topics you wouldn’t have previously wasted time on. Soft skills, career coaching, personal branding, thought leadership and other terms that used to sound like a load of air-headed gobbledegook start making sense. Those who know me may wonder if I’ve gone mushy in my head. Maybe. But perhaps I’ve just woken up. Is where I was until recently as good as it’s going to get? How did I get here? Did that large automobile take the road along that big house en route to a gold watch before you die? Is this supposed to be your legacy? No. After reviewing my “overarching theme” and personal project plans that started several years ago, it comes as no surprise that this is where I am. 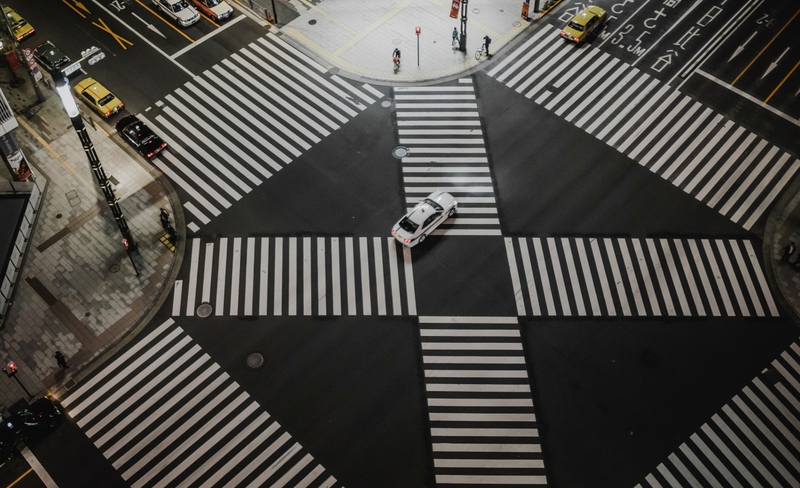 This intersection is the opportunity to revise not only your trajectory but explore other roads too; it’s a ticket off the corporate hamster wheel. Right now I can do anything. Blood and blisters on my fingers, I still don’t know what I want to do when I grow up. Because, quite frankly, I don’t want to grow up and get old. The hunger remains. Nothing stops me from freelancing or taking on several part-time gigs. What’s the worst that could happen… losing my job? No, I don’t want a mere job. I want to live. Wish me success in wherever future endeavours lead me. This entry was posted in Uncategorized and tagged future, inspiration, job, opportunity, personal, work. Bookmark the permalink.